QTY 1234567891011121314151617181920212223242526272829303132333435363738394041424344454647484950515253545556575859606162636465666768697071727374 Please select a quantity. 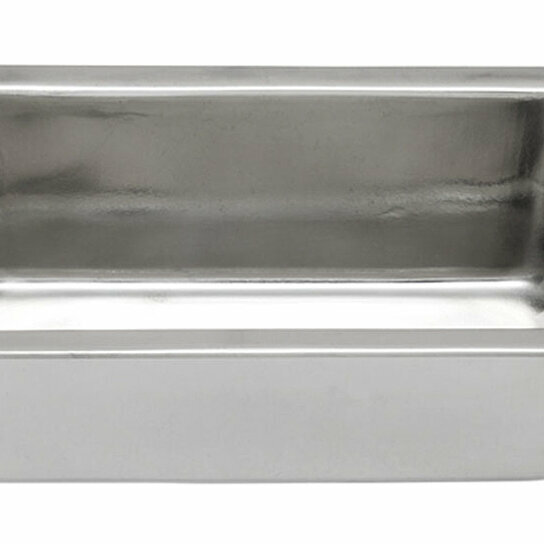 This highly durable, stainless steel loaf pan is perfect for all types of breads, cakes or pastries. The thick walls allow for even heat distribution while in the oven. Dishwasher safe, for easy clean up. The pan dimensions are 2-1/2" X 8" X 2-3/4.